Ahead of the June EU Summit, Eurelectric calls upon policymakers to minimise any possible disruption resulting from Brexit on the energy and climate agenda. 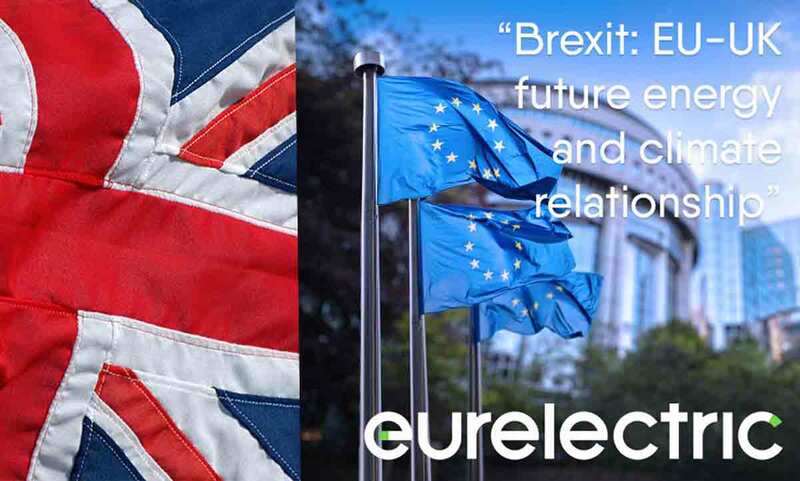 This is the main message resulting from Eurelectric’s analysis paper “Brexit: EU-UK future energy and climate relationship”, published today. In this paper, the EU electricity industry sets out its position on what the future framework agreement between the EU and the UK on energy and climate change should contain. In view of the importance of energy for the EU and the UK in powering their economies and societies, Eurelectric urges policymakers to pursue the close collaboration between the EU and UK on the energy and climate agendas. The post-Brexit collaboration must continue supporting wholesale energy market integration, cross-border interconnection and efficient energy trading arrangements. “Every effort should be made to minimise disruption of these objectives which must form part of an energy and climate chapter governing the EU-UK future relationship” says Kristian Ruby, Eurelectric Secretary General. Whatever form the future agreement between the EU and the UK will take, it must include a full and comprehensive energy and climate chapter, with focus on the following areas: the Internal Electricity Market (IEM); including the trading and transmission framework created via the Network codes and Guidelines, the Single Electricity Market (SEM), the EU energy and climate frameworks; the Industrial Emission Directive (IED), the EU Emissions Trading Scheme (EU ETS), the nuclear energy sector and the financial regulations that to an extend also frame energy commodity trading. In addition, the agreement should provide clear and early signals on governance, network codes and validity of contracts, as well as governance of current and future contracts.